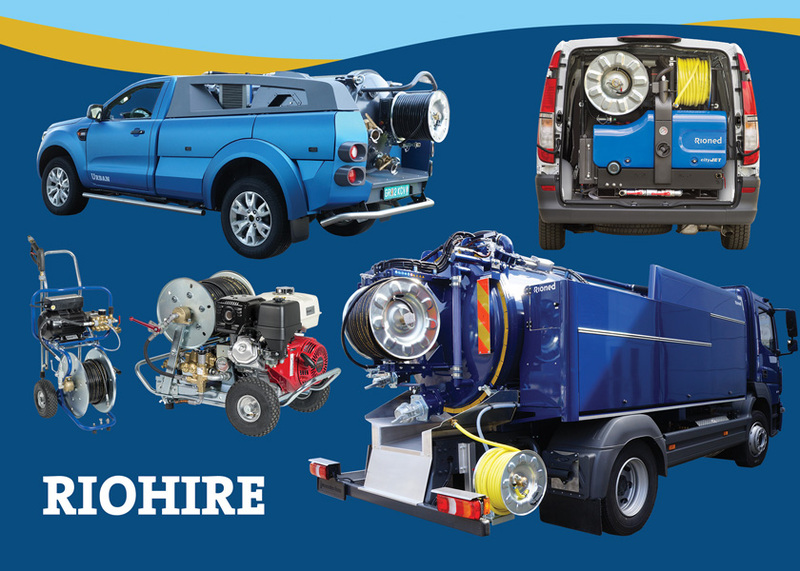 With a growing number of drainage contractors opting to hire rather than purchase equipment, the RioHire fleet of vehicles and jetting equipment has grown rapidly over the past three years. The company has recently announced the addition of the UrbanCombi vehicle and several of its portable machines to the hire range. The petrol motor powered HD30 and electric motor powered MiniJet portable machines have also been added to the hire range. Both units have been designed for residential and light commercial use, as well as areas with hygiene restrictions such as hospitals, and can be hired short-term for a minimum period of two weeks. Simplifying the hire process and providing a flexible range of hire options is key says Mark Cox: “A simple hire agreement and proof of insurance can have you driving away in less than an hour. And with prices starting from £130 per week, it’s a cost-effective way to benefit from class leading equipment. “For example, our fully converted, highways compliant Van Packs are supplied fitted with the latest CityJet+ jetter, which comes with a host of features such as 180° pivoting hose reel and radio remote control as standard. For more information contact the sales team on 03300 240404 or visit www.rioned.co.uk/rentalfleet.